Red Wine, Green Tea and Dark Chocolate: Prepare to be amazed! The average American is 36.6 years old and eats 1,996.3 lbs. of food per year. The average man is 5’9” and weighs 190 lbs. The average woman is 5’4” and weighs 164 lbs. Each year, Americans eat 85.5 lbs. of fats and oils. They eat 110 lbs. of red meat, including 62.4 lbs. of beef and 46.5 lbs. of pork. Americans eat 73.6 lbs. of poultry, including 60.4 lbs. of chicken. They eat 16.1 lbs. of fish and shellfish and 32.7 lbs. of eggs. Americans eat 31.4 lbs. of cheese each year and 600.5 lbs. 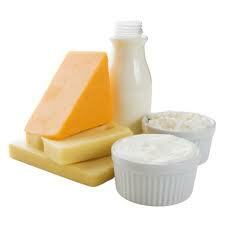 of non-cheese dairy products. They drink 181 lbs. of beverage milks. Americans eat 192.3 lbs. of flour and cereal products, including 134.1 lbs. of wheat flour. They eat 141.6 lbs. of caloric sweeteners, including 42 lbs. of corn syrup. Americans consume 56 lbs. of corn each year and eat 415.4 lbs. of vegetables. Every year, Americans eat 24 lbs. of coffee, cocoa and nuts. Americans eat 273.2 lbs. of fruit each year. These foods include 29 lbs. of French fries, 23 lbs. of pizza and 24 lbs. of ice cream. Americans drink 53 gallons of soda each year, averaging about one gallon each week.